The multiple Grammy-nominated One O'Clock Lab Band is the premiere ensemble of the University of North Texas Jazz studies program in the College of Music. The band was here to perform at 15th World Saxophone Congress held 7 - 12 July at Mahidol University in Bangkok. Their performance done the guys in the band were out and about to see some of the sights of Bangkok. 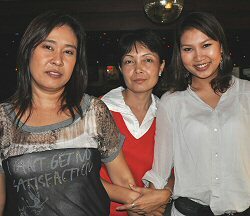 I was lucky enough to meet up with them at The Corner Bar - run by the lovely Miss Jeab - Soi 22 in Queen's Park Plaza. Finding someone interested in a conversation about Jazz is a rare treat most nights - but a bar full of talented Jazz musicians in Bangkok (on Sukhumvit Soi 22) is something I would never have imagined possible. 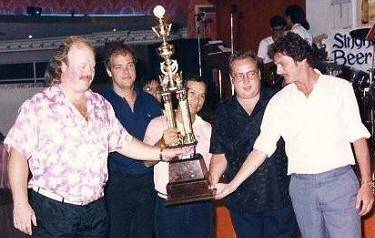 BIDL (Bangkok International Darts league) will kick off its very first season on Thursday 13 August. This league is open to players of all skill levels. If you haven't already signed up with a team contact us at DT and we'll let you know which teams are sill looking for a few more players. We had initially announced that the first season would have only one division - general consensus was players of all teams wanted to meet each other and have an opportunity to visit all host bars. But we didn't expect to have sixteen teams sign-up for the first season - great news but impractical to go with only one division. Being the first season with no prior stats the teams for each division will be decided by a luck of the draw. Sixteen teams playing out of thirteen venues - The Sportsman (3 teams) - Flaming Moe's (2 teams) - Chalkies - Corner Bar - D'Pelican - Faulty Towers - Hideaway - Moonshine Pub - On's Place - Players Bar Asok - Silver Dollar - Sport Corner - The 52 Bar. A three-player minimum makes it easier for more host bars to enter teams. Match format (singles - doubles - one 1001 team game) AND scoring based off total legs of the match AND starting matches on time are the international standard of darts leagues. 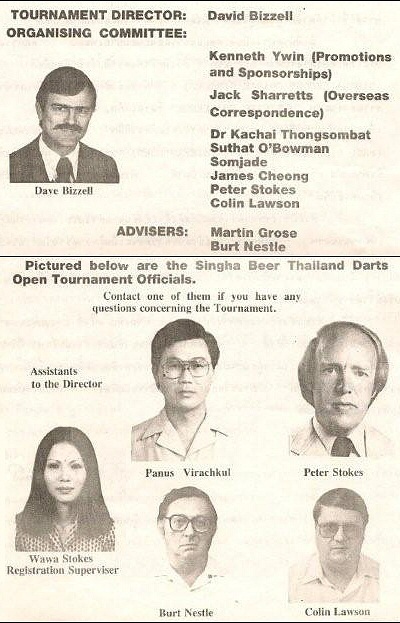 Far too many interested Bangkok darts players do not play on teams because of late starts of a league match. BIDL teams late for a match will be docked points. Allowance for being late with good reason & phone notification in advance will be decided upon by the on-time team captain - his or her decision being final. All venues that are accepted as host bars into this league are committed to providing the best possible playing environment for all darts players. All darts players accepted into this league are committed to sportsmanlike conduct of fair play and turning up for matches on time. This has worked well as the standard for the expanding Tuesday LSDL fun league. For a fun league I think that most players would agree that the fieriest competition has been between the host bars - the excellent pub grub they provide at league matches. 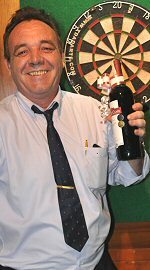 Get the match started on time and for those not having to wake up early the next day to go to an early-start honest job - stick around and support some great darts host bars. DT DISCLAIMER - All email enquiries answered - DT secretary personally answers as many as possible. 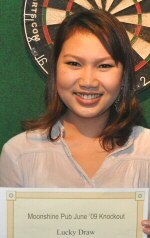 You'll not find a more charming and vivacious darts opponent than the bubbling Miss Risa. 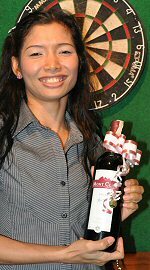 As secretary of The Sportsman's darts teams - Risa is kept busy with more and more darts players and teams joining The Sportsman's ranks. 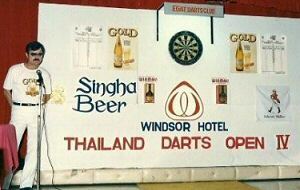 A new Bangkok darts venue - The Sportsman is already being touted as the best darts throw in all of Thailand. Johnny has done me the honor of asking for my thoughts on purchasing new darts. “What’s the best set” series will touch on different types of darts, length/thickness, material used and a little journey into the mental side of new equipment! Along with this I will cover a few other frequently asked questions about what length shaft/point/flight. 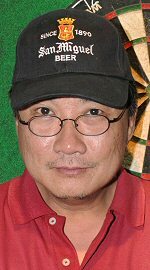 I have a very unique perspective on this not only as a current player of over 15 years, but also working for one of the largest dart shops in the USA for many of those years. Let’s tackle the easy one first; New Darts. First ask yourself why you are looking for new darts. Is your current set just not right for you? Wanting a fatter barrel? Longer? Skinny? Front loaded? 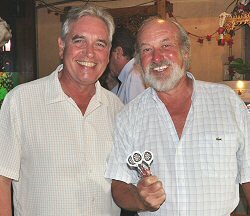 Or better still ask yourself what’s WRONG with your old darts? Later in this series I will get into helping you figure out why you need new darts. This first installment lets focus on the differences in types of darts and the material used. I am incredibly lucky in that on a daily basis, I can grab one of over 500 different sets of darts and play around with them. This can also be a very large nightmare if you are a touch obsessive/compulsive like I am and have been known on occasion to stay long after closing time at the shop looking for that perfect set. That is until I had my own line of darts made. Available very soon!! I should start of by telling you that I have been successful with using a US$25 set, as well as a US$150 set. For the most part, you can be pretty accurate with any set of tungsten darts. Or brass for that matter, but tungsten being a much denser metal than brass or nickel/silver you can achieve the same weight dart with much less material. Meaning a slimmer dart than that of a brass dart of the same weight; resulting in more available open space to get multiple darts in the same triple segment. I recommend an 80 to 90 percent tungsten dart. The other 10 to 20 percent is usually nickel/silver. This is because Tungsten in its purist form is very brittle. What grip is best? As a general rule, if you use your hands all day long lets say in working concrete or construction, you will have very rough or calloused fingers. A dart with an aggressive grip, or one that is heavily knurled normally suits you. If (like me) you tend to have relatively soft hands and sensitive skin, you need very little heavy knurling. A good ringed grip dart will most likely suit you. Your point length is also crucial. Shorter points are good to make sure your dart penetrates into the board enough that it will not have the dreaded ‘hang for 3 seconds then fall out’ that I am sure you have seen before. However there is a trade off. Using a longer point will help to keep the bulk of you dart away from the board allowing you to squeeze more darts in the same area. A new design that is catching on quick is points that have knurling or rings. Again there is good and bad about these. If you throw a hard enough dart, the theory is that the knurling/rings grip inside the board and reduce fall-outs. If you tend to throw a little softer, there is a good chance your point will not go far enough into the board and you are subject to fall-outs again. Another negative side effect of these coarse points is it does damage and wear your board much faster. In testing at the store I have pulled darts out and had strings of sisal come out with the point. Ouch! I really do not recommend these points for your home board or for your local league location. I am sure your bar owner will thank you for it. As for silver or black points, someone like me that has there finger directly on the point will find that the black or coated points will suite you quite well. While I can throw a chrome point, it takes considerable focus to keep the dart in my hand before release as they tend to slip off your forward finger. Then you get the ‘wounded duck’ aiming at 20’s and hitting 19’s. There are variations and there are always people that do not fit this traditional pattern. But for the most part this is all very accurate thru years of witness, trial and error and should serve as a great jumping off point to help you in your next purchase. In the next installment I will address different types and lengths and sizes of shafts and flights. In the meantime, best of luck and shoot well! 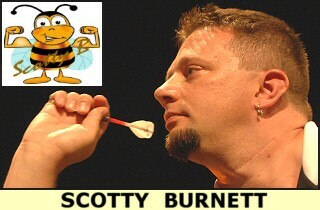 NOTE To visit either Scotty's website or the A-Z Darts website click on their logo. 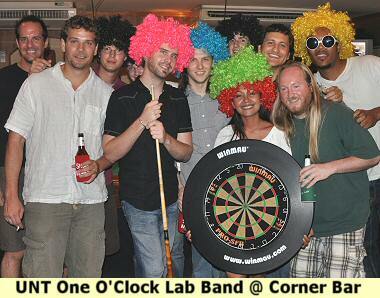 An article on the A-Z Darts operation can be found in our Vol.17 July 2008 newsletter. Season XVIII of the LSDL ended on Tuesday August 4th. D’Pelican Saints came top in Division I, New Cowboy Bar and Faulty Towers from Division II battled it out but CW and Gals from NewCow got the better after Faulty Towers lost their game to Moonshine on the 28th of July. Corner Bar Crack Heads took the third division by storm finishing in first place 7 points clear of 2nd place runners up Sport Corner bar. The Awards and End of Season Party will be held at D’Pelican Inn on Sukhumvit Soi 22 on Tuesday 18th August, Party Starts at 8pm. Season XIX will start on Tuesday 1st September 2009 – 8pm. 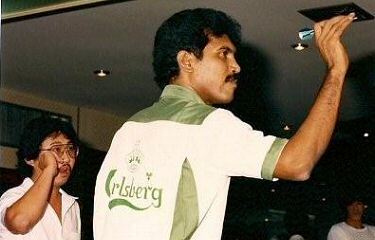 The BPDL – The Tuesdays Premier League will not be restarting this season with some of teams moving over to the new BIDL – Bangkok International Darts League, which will be held on Thursdays. 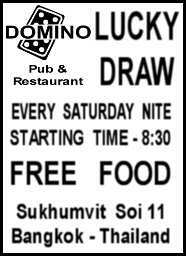 4) Entry fee 1,000.- baht per team. Dew at Domino Pub & Restaurant. 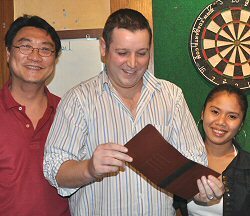 For all the latest darts happenings from Pattaya please check out Lance's fine website. 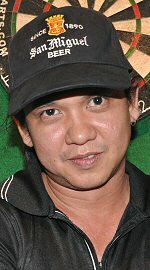 Our apologies again to the Pattaya darts community for even further delays in setting up a Pattaya vs. Bangkok friendly challenge match. Now that we've got all our immediate emergencies somewhat under control here we'll start concentrating on doing our part to get this match back on track. To visit the PattayaDarts.Com website CLICK HERE or on their banner. As the latest details from Patong date back to March here is a little details. Last season saw Queen Mary win the league with Piccadilly being runner-up. The new season started at April 21st with 8 bars: Queen Mary, Piccadilly, Shakers, Offshore, Market Bar, Beach House, Celtic and Boozers. The season will run to July 21st followed by 2 weeks play offs. 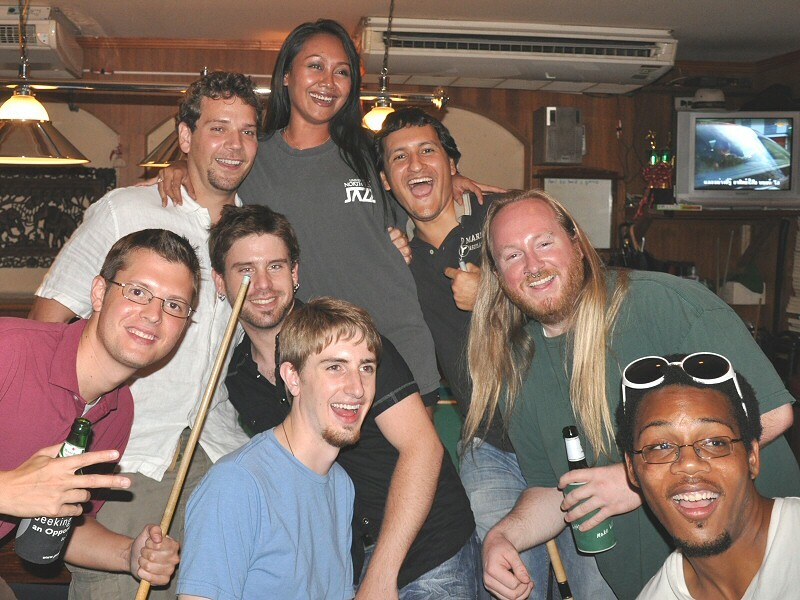 Steen's "Patong Beach Dart Bar Map" is on our Dart Bar Index Page - check it out. It's a printable map that's great for new-comers to find all the darts action. 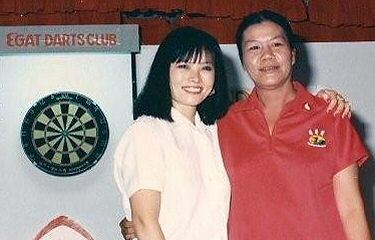 Hua Hin has an active darts league. We are hopeful to find someone involved in that league to send us a paragraph or two to be posted here to give all of us more specific information. 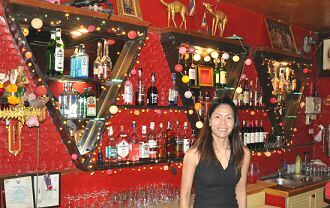 The Hideaway Pub is one of the new dart bars on the Bangkok scene. 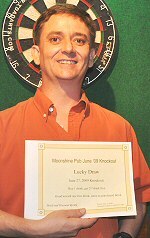 Hideaway owner Jack (photo left - demonstrating a darts warm-up routine he developed himself) has been involved in darts teams for the past few seasons finally deciding to hang a board in his own watering hole. Hideaway will be entering a team on the next Tuesday league LSDL as well as the new Thursday league BIDL - all interested players welcome. 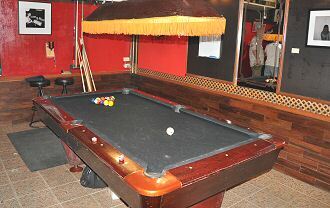 Stop in anytime for some darts pointers from in-house pro Jack - maybe a bit unorthodox but certainly entertaining. NOTE For those with a slow internet speed you may have to refresh or reload this page to have all the images load. Sorry for the inconvenience. on the Photo Galleries index page. Some photos from Flaming Moe's 23 May Knockout - no report. Worth noting - although Pad and Somnuek have been seen in the knockout winners circle before - this event was the first for the lovely Miss Charinee from Aloha Bar. 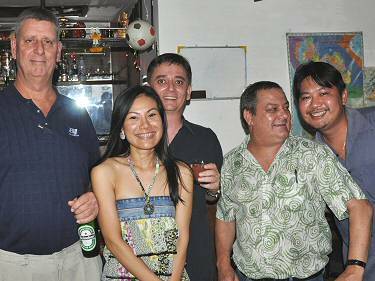 June 2009 - It was a dark and stormy night in Bangkok, I mean stormy, it was raining cats and dogs. You could hear the barking and meowing as they hit the ground. At around 8, we had calls from the Pelican, the Aloha and the New Cowboy, that we are coming but not until the rain let’s up. Due to the inclement weather, we had a late start time as the people waded in or in some cases surfing down Soi 22. The last people to show up had to come all the way from Flaming Moe’s which is 3 bars away. As you will see later it was a good decision for Sar and An. 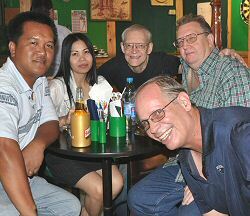 A special welcome was made to the Ship Inn crowd of about 7 darters who made the trek from Soi 23. 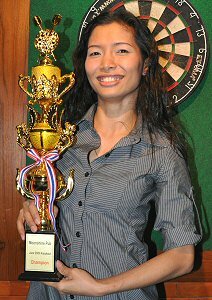 In the end we had 28 of Bangkok’s darting elite entered in the tournament, a mixture of premier and fun league players. As there was no seeding in the tournament, a random draw was made to determine the order of play. With 28 players, there were 4 byes in the opening winner’s bracket round. David, Ae, Jamie and Paul got the opening byes, if you think that were lucky for them; you would be wrong as you will see later. Okay now for the tournament results, in the first round of the winner’s bracket, Leif from the Pelican took on Kenny the dart and lost. Tom the traitor from On’s place lost to CW from the New Cowboy. Boggs from the Moonshine beat up on beautiful An from the Flaming Moe’s. Matt from the Pelican got beaten up by Giffy who plays in the premier league, not sure what team. 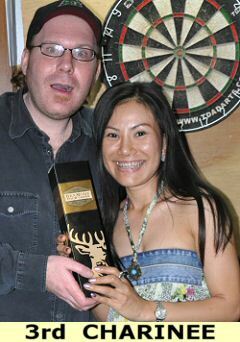 The next match was between 2 players from the Ship Inn, with Sorn narrowly beating Muai. Adul took on Nuek and lost as Nuek is one of the favorites to win the tournament. That was the results from the top half of the draw. In the bottom half, in an all Moonshine match, Colin from the White Lightning crushed KaptainX. KC from the Pelican defeated Colin L in a close match. Jayke as usual beat up on a lovely lady, Lek, to advance to the next round. Sar then took on Scott from the Aloha and sent him to the losers bracket. Boy beat Barry from the Ship Inn in a close match. Also losing from the Ship Inn, Kenny Golf lost to Maits from the Pelican. That finished the first round of the tournament without any real upsets, the only one considered a minor upset was Colin’s defeat of KaptainX. In the winner’s bracket round of 16, the four players with a bye in the first round played first with 3 loses and 1 victory. David lost to Kenny the Dart, Lovely Ae lost to Moonshine Colin and Jamie lost to Nuek. The only victory was by Paul of the Sportsman defeating Maits. In other matches Boggs defeated CW and Jayke defeated KC. The biggest upset of the tournament so far saw Sorn defeat Giffy to send her to the loser bracket. There was also a minor upset when Sar sent Boy to the loser bracket. In the preliminary round of the loser’s bracket, 8 darters played to stay in the tournament. 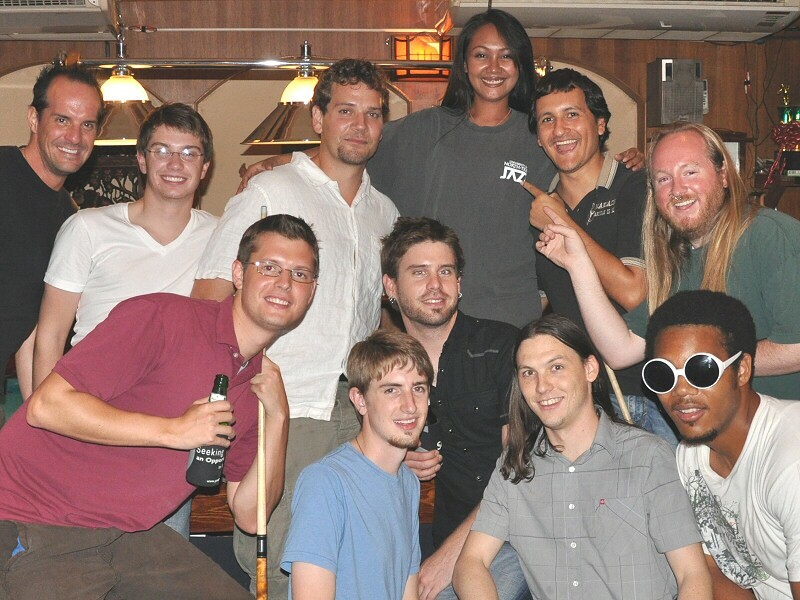 Three players from the Ship Inn were involved in this round, Lek lost to Colin L, Muai lost to Matt and Barry beat Scott. In the other match Tom the Traitor defeated lovely An to move on. In the loser’s bracket round of 16, there were some good matches played. First up in an all Moonshine affair KaptainX narrowly defeated the captain of the White Lightning team David to advance to the next round. In other matches CW defeated Colin L, Giffy sent Barry packing, Kenny Golf defeated Jamie to advance to the next round. In the lower half of the draw, Lovely AE defeated Lief to advance to the next round, Tom the Traitor defeated KC, in another minor upset Matt sent Boy out of the tournament and in the last match of the round Adul advance at the expense of Maits. In the loser’s bracket first round of 8 saw some good matches, CW sent KaptainX out of the tournament, Giffy sent Kenny Golf out, the traitor Tom sent the Lovely AE out of the tournament and Matt defeated Adul to advance to the next round. In the winner’s bracket round of 8, Boggs took on Kenny the Dart and sent him to the loser’s bracket with a well deserved victory. Next up Nuek took on Sorn and sent her down to the loser’s bracket. In a match painful to watch Jakye squeaked out a victory over Colin. In the last match of the round, Sar advance with a well won victory over Paul. There is now 12 players left, 4 in the winner’s bracket and 8 in the loser’s bracket. In the second round of 8 in the loser’s bracket, there was some unexpected results. 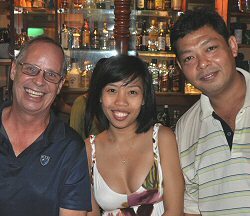 Paul sent CW home, well not home to the bar and to talk to Kerian and I, of course by that time we couldn’t understand a word he said. A lot of head nodding going on at this time. In the upset of the round Colin sent Giffy packing, it was a great match. Other results saw the traitor Tom going through by beating another lady, Sorn from the Ship Inn. In the last match, it took Kenny the dart only 14 arrows to send Matt back to the Pelican. Now down to 8 players, with 4 in both brackets. In the first round of four in the losers bracket Paul took on Colin and Tom the Traitor took on Kenny the Dart. Colin still in disbelief that he beat Giffy, lost a close one to Paul. Tom the traitor finally met his match when Kenny sent him out of the tournament, during this match Kenny throw the only 180 of the tournament. In the round of 4 in the winner’s bracket, Boggs took on Nuek and Jayke the Gremlin took on Sar. In two good matches with some good darts by all players, Boggs and Jayke were sent to the loser’s bracket by the better players. This leaves us with 6 players, 4 in the loser’s bracket and 2 in the winner’s bracket. In the second round of four in the loser’s bracket, Boggs took on Paul and Jayke took on Kenny. Boggs ended Paul’s good run with a hard fought victory. Paul did great since Kerian had to talk him into playing in the tournament. In the other match Kenny ended Jayke’s dream of glory sending him out of the tournament. The only problem with that is then Jayke had more time to hassle the coordinators. We are now down to the final four. In the final four loser’s bracket, Boggs took on Kenny the Dart and lost a close match to finish in fourth place. In the winner’s bracket Sar took on Nuek and in the upset of the tournament so far, Sar sent Nuek down to the loser’s bracket. In the loser’s bracket, Kenny awaited Nuek for a place in the final. 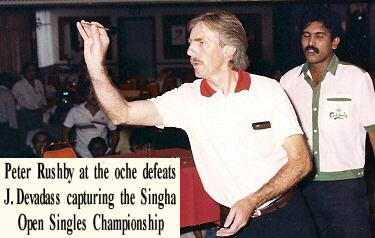 Kenny had overcome many hurdles to reach this match, but it was just one hurdle to far as Nuek sent Kenny out setting up a re-match with Sar in the final. 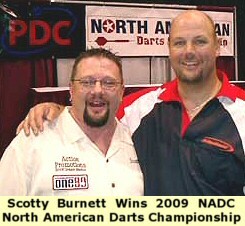 Kenny the dart finished in third place. The final would see Sar take on Nuek in a re-match of the last match in the winner’s bracket. 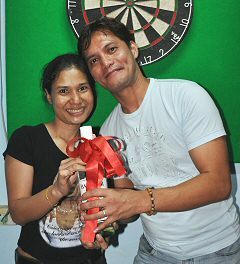 Both players played some really good darts but Nuek won the match 2 nil. Everyone was out of there seat congratulating Nuek when it was brought to everyone’s attention that was Sar’s first lost so game on. In the final Nuek took the first leg easily, things weren’t looking good for Sar. Sar played some really good darts to take the second leg. One to one with the third leg to decide the winner of the evening. Both players played great darts but in the end, Sar made a great comeback to take home the victory and to be crowned the winner of the tournament. 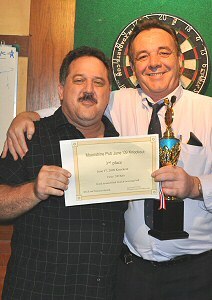 As you can see from the pictures our intrepid photographer took, all the winners received trophies and Moonshine gift certificates for their gallant playing. 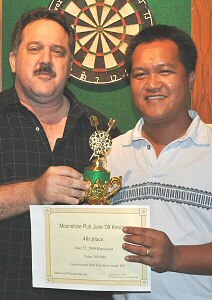 The staff and owners of the Moonshine would like to thank everyone who braved the inclement weather to throw some darts. The players would like to thank Wasana for her usual great spread. 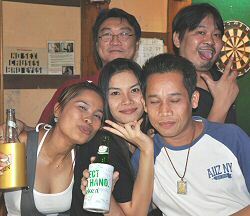 Also thanks to our sponsor for the donation of the San Mig Light which was on sale for buy 2 get 3. This was good but Mitch kept giving me warm beer. That’s my story and I’m sticking by it. (David just does not know how to drink from a beer bottle and that is Mitch’s story and I’m sticking by it). There were 28 players and 20 lucky draw prizes, KaptainX, Tom the Traitor, Boy, Maits, Adul, Sorn and Nuek all won hats. There were only 6 hats but 7 draws, that is because KaptainX had too big of a head for his hat so put it back in the draw. Paul, Lek, KC, Colin L, Scott and Jayke all won Moonshine vouchers. 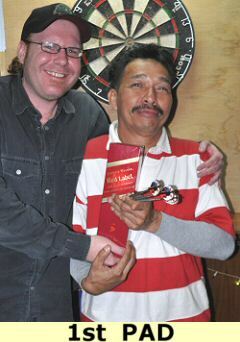 Other winnes include Jamie who won a dart wallet donated by Adul and David won a San Mig Light T-shirt. 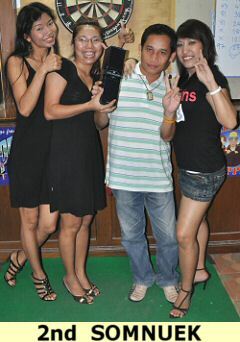 Wasana and Mitch also donated 6 bottles wine for the lucky draw. Both Sar and An from Flaming Moe’s won bottles, Matt and Lief from the Pelican also took home bottles. 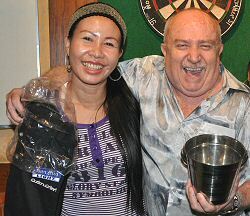 Also a Sukhumvit darting regular CW took home a bottle along with Kenny the dart. 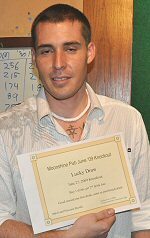 A special thanks to all the darters who helped by keeping score, I can only remember Nuek, Adul, Scott and Kenny but I’m sure there are other that I have forgotten. Sorry about that but thanks to all for your help. Again thanks to the Moonshine staff for a great night under some real wet conditions. Thanks to KaptainX for his continued support for these tournaments. His organizational skills are always welcomed at these events. Thank you to David for his continued support as the loud, who needs a microphone, MC for the events, as well as taking care of the winners trophies. See you all in August at the next Moonshine Knockout. Keep supporting these events as they are always a good time. Happy darting all! 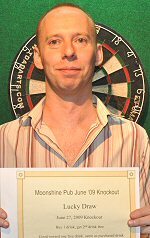 07 August - FRIDAY - 8 PM The Sportsman in Washington Square will be holding it's first Darts competition next Friday 7th August. 8pm start,200bt entry. There will be prizes for the top 4 finishers as follows. - - Winner:2,000bt bar voucher + trophy + bottle of whisky - - 2nd:1,500bt bar voucher - - 3rd:1,00bt bar voucher - - 4th:500bt bar voucher. The format will depend of number of entries on the night. Call Rob on 086-006-2761 or pop into the bar to register your name. Many thanks. 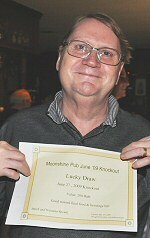 15 August - SATURDAY - 8 PM Moonshine Pub Knockout - Trophies, Door Prizes and Free Food. 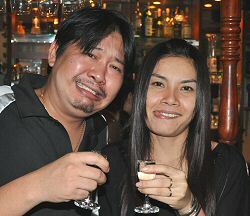 300 Baht buy-in with all buy-in going to players bar bill. Queen's Park Plaza, Sukhumvit Soi 22 - Bangkok. 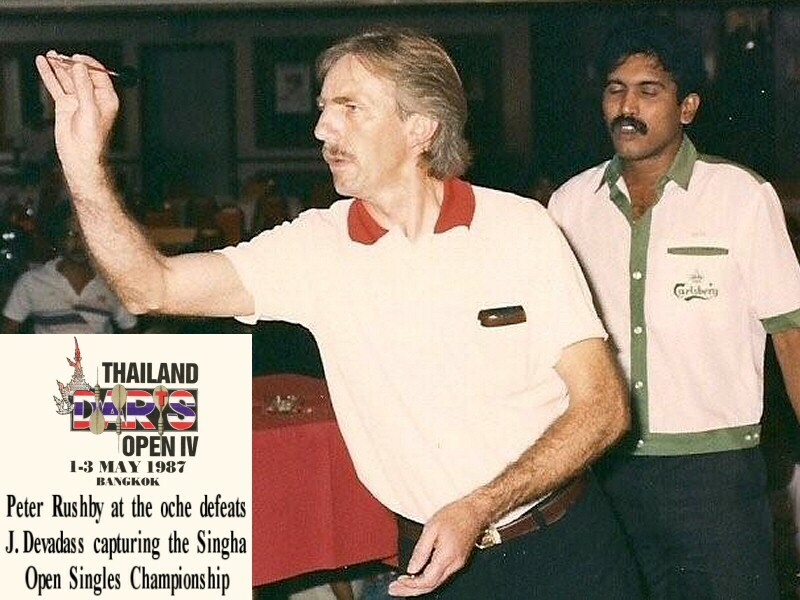 The 1987 THAILAND Open IV - With over 200 players from 9 countries including a strong contingent from Sweden , Malaysia and the cream of local players, all hoping to win the first prize of 50,000 Baht in the men's singles event, plus for the first time valuable WDF (World Darts Federation) ranking points! 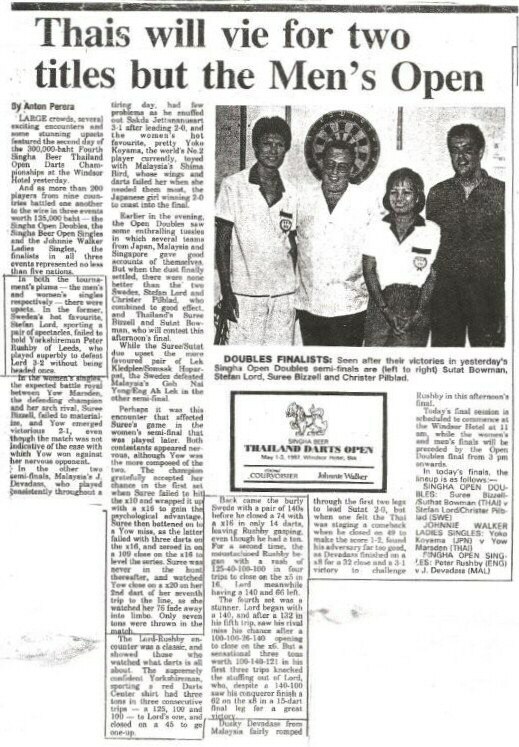 When the draw was made for the Men's Singles Event, I couldn't believe my ears, out of all the players present I was drawn in the first round, against my nephew Phil Kerry who had traveled with me from England only the day before. Jokingly I said that if I won, then I would share the winnings with him. The rest is history. NATION ARTICLES BY ANTON PERERA Nation Newspaper articles by Anton Perera. To view any of the above thumbnails full size - CLICK on the thumbnail. 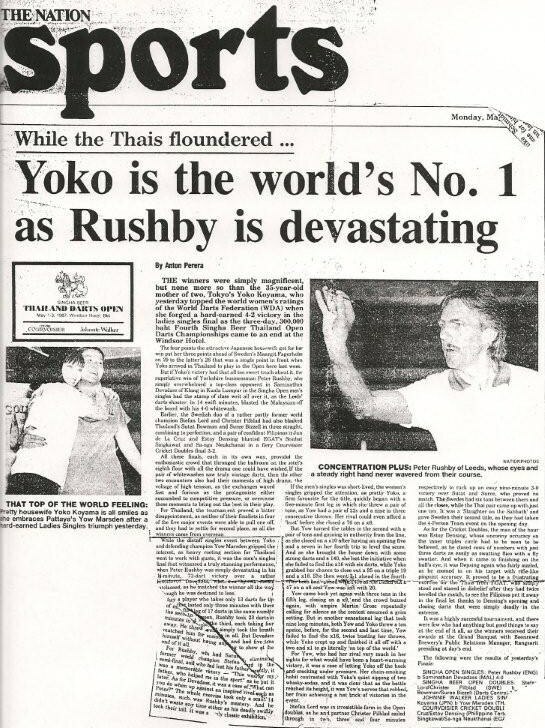 Once again we'd like to thank Peter Rushby - DT's Historian - for providing these treasures of Thailand Darts History. 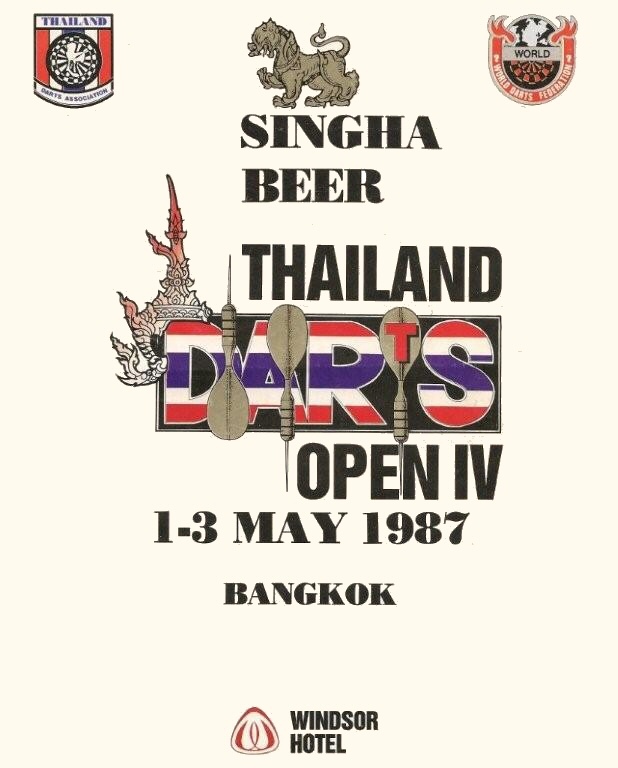 Well folks- due to the popularity of last month's postbag and the fact that there hasn't been a Newsletter since Thailand was called Siam, we've been bogged down with letters and so this month we are going to answer more of your darting enquiries. JAYKE SAYS You have to think about it logically. Insects can't be that bright. They come out at night and flap around light bulbs. Would be far more logical to come out during the day when it's light. Also bats wouldn't eat them for tea. JAYKE SAYS Actually once. I bought this lovely house and decided to have a go at doing the garden so visited my local Garden Centre. On returning home I had purchased 4 bags of multi purpose compost. It was only then that I realised it wasn't multi purpose at all and all I could think of doing with it was growing plants. I learned my lesson that day. JAYKE SAYS I have to go with BA. Make sure you check your bags in and put them on their Air Miles programme. By the time they actually arrive in the UK there is hardly a country they haven't been sent to and you will have earned enough miles to travel for free on the next space shuttle. JAYKE SAYS Am quite fussy but just last night someone told me that the new Star Trek movie was right up my street. Imagine my disappointment when I took a wander and all I found at the end of my street were 2 flea bitten dogs and a dubious looking ladyboy. Hi Jayke. I met you recently and found you to be quite rude and very drunk. My mother told me that good manners cost nothing. What do you have to say about that? J Andrews, Austria. JAYKE SAYS Your mother is lying. My sister went to a posh finishing school and it cost 20 grand a term. JAYKE SAYS Relax Phyllis, he's a policeman. JAYKE SAYS Not really and I don't get the fuss over these pit crews changing tyres in 15 seconds and getting paid a fortune. I was sat at some traffic lights in Liverpool once and a group of 14 year olds had my wheels and wing mirrors off my car in about half the time. JAYKE SAYS Good idea but what a hypocrite Heather Mills is. She's only half at risk than the rest of us. For those of you who haven't already read Dartoid's article it can be found on Paul's website Dartoid's World. The DT Video Department has finally published the video of this event on YouTube delayed for some time now till the music soundtrack was acceptable to YouTube copyright laws. If you plan on publishing anything on YouTube with a music soundtrack - check out what you can and can use. You may be surprised. To read Dartoid's report or view the video click on the appropriate links below. FAQ - Where can I buy boards, darts and dart supplies? We have a page listing all known suppliers and some on-line darts suppliers. We only list on-line companies that our players actually use. 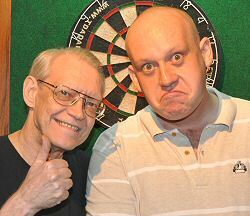 If we've missed you and you sell darts supplies - contact us and we will add you to our list. Once again we're late with our newsletter. 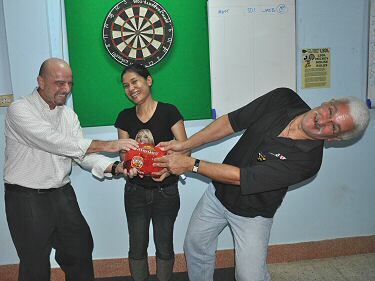 First we got a bit side-tracked setting up the new Thursday night BIDL - Bangkok International Darts League. Actually had this issue ready to go in the last few days of last month but ran into problems uploading to our server. So we decided to revise the BIDL article with updated information and call this the July / August issue. Our regular interview will be back next issue - thought we had that set but never received it. As always we hope to get our newsletter out somewhere earlier in the month. We certainly would appreciate those submitting material and information to email us as soon as possible so that we can improve on this. - - Johnny "The Big Witkowski"